Once I use ONE Lori Boyd design, I just can't help it - I want to use another. I think this one is just adorable. I just gathered scraps to make the background of this card. Rub on stitches unified the patterned papers nicely, I think. 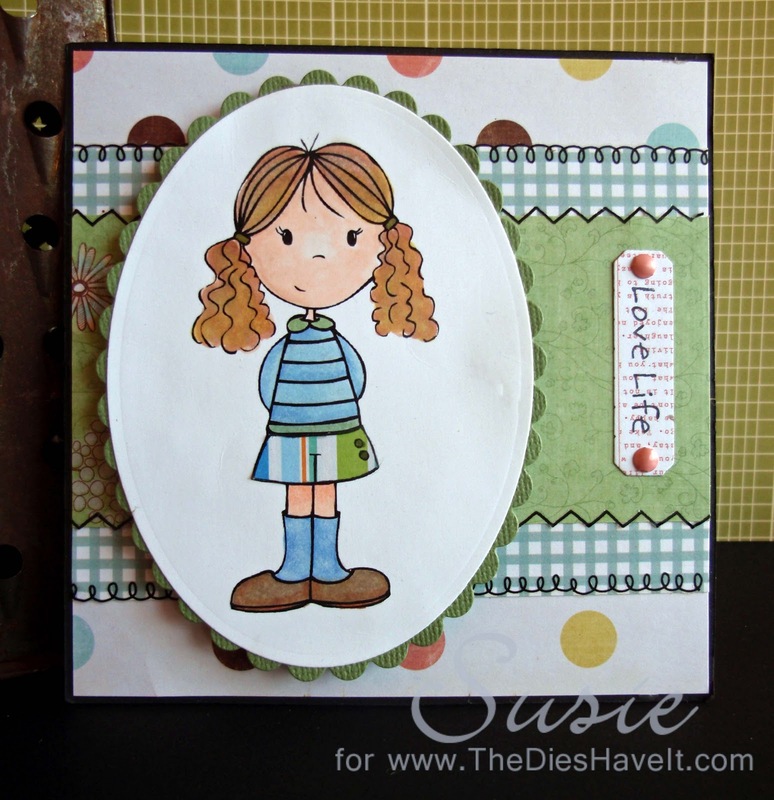 Just like yesterday, I used Spellbinders dies for the image and the mat. They are so much a part of my basic die sets. I just couldn't do without them. I hope you have a crafty and color-filled day. I'll be back tomorrow with another card to show you. ADORABLE card, Susie!! 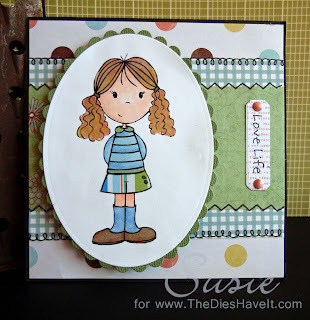 I love sweet PJ Tabitha and how you utilized the scraps. She just pops off the card! Great job! !